As a central element of the Give Bees a Chance fundraising campaign this past June, five top chefs from across the country joined forces with Whole Kids Foundation to host fundraising dinners in their respective cities. In Chicago, Chef Rick Bayless, winner of Top Chef Masters and a nine-time James Beard Award winner, hosted a dinner with Evan Robinson, a 12-year-old Hyde Park resident and finalist on MasterChef Junior Season 5, Chicago. 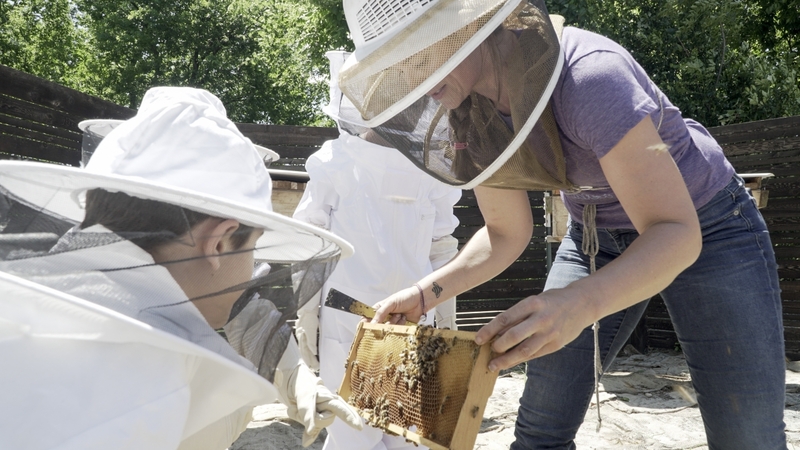 In total, the month-long fundraising campaign raised $60,000 to fund 30 new educational bee programs at K-12 schools and non-profits in 23 states. For more information on Whole Kids Foundation Bee Hive Grants and how to apply, visit wholekidsfoundation.org/schools/honey-bee-grant. Additionally, those interested can sign up for the Whole Kids Foundation newsletter to get up-to-date information on all of the foundation’s initiatives.